Hear me out. Don't close your browser. I promise these are worth your time. I mean I hope you can trust my brownie judgement, I am a brownie connoisseur. 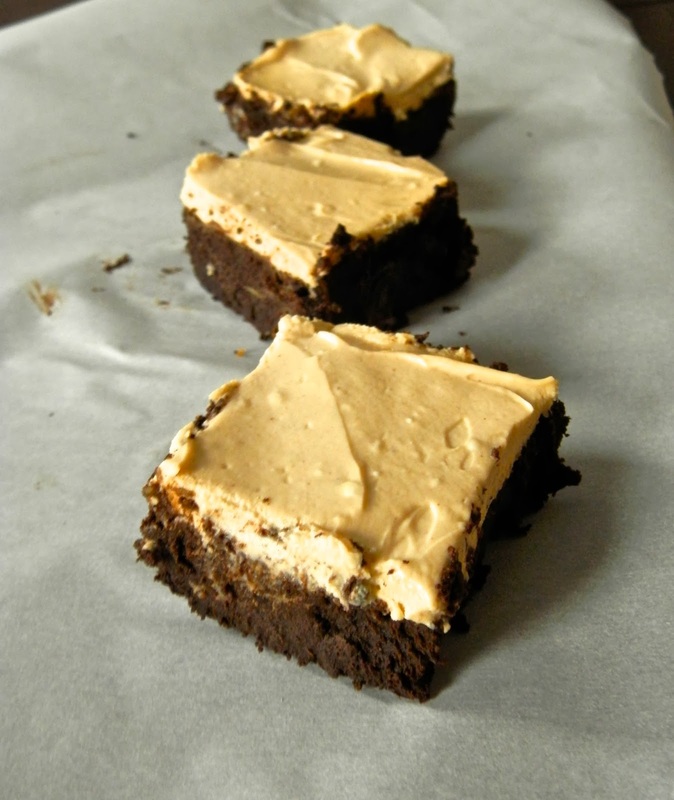 Should I remind you of the PB&J Pretzel Swirl Brownies? Or those Mound Bar Brownies I made? And remember how good Peppermint Hot Chocolate Brownies were? And how mouth-watering-ly good those Marzipan Brownies were? Do you really think I would lead you astray? I am insulted. Unless you're still reading and are ready to believe what I tell you, no matter how strange. In which case, I am flattered. Yes, as the title says, these brownies are made with avocado. And no butter and no flour. So they're practically healthy right? ;) Maybe not entirely. Because there's still sugar and 8 ounces of chocolate. But it's dark chocolate, so you're getting those antioxidants in. My point? You don't need to be on some kind of health-nut diet to make and enjoy these. And you can make and enjoy these if you are on some kind of health-nut diet. It's a win-win. Like the flourless chocolate cake I made, the lack of flour makes these brownies super dense and rich and fudgy, and the fat from the avocado just adds to the fudginess. It's like you're eating only slightly-less-dense fudge. With frosting. In that regard, they are somewhat different from normal brownies. Good brownies are always fudgy, but these are dense and fudgy, not just chocolatey and gooey. When you bite into it, you don't think they're normal brownies, because their texture is different (my brother tried them without knowing there was avocado in them and could tell something was up, but he kept eating so hey, I think he grudgingly like them). But that doesn't mean they're bad. Just that they're super dense. My parents, especially, raved about these. My dad gave some away to a family that just had a baby unexpectedly, and my mom was upset because she'd been looking forward to them. She requested they be made again immediately. :) And what was I to do other than oblige? My personal favorite part of these brownies is the frosting. Wow. Sally strikes again. It's a little lighter than normal frosting, but in this case that is good, to counteract the intensity of the brownies. The greek yogurt gives in a little tang, but it's still sweet and peanut-buttery. A nice touch. Once again, it's been proved that chocolate pairs well with everything, as Molly pointed out. I've learned my lesson here: never be skeptical of anything paired with chocolate. Unless it's cheese. I just don't think cheese and chocolate would go well together. But hey, for all I know it could be a match made in heaven. 2. In the bowl of an electric mixer, whisk together the eggs and the sugar at mediu high until VERY light and doubled in volume. Gradually add in the melted chocolate. 1. Add Greek yogurt and peanut butter to a medium bowl. Beat on medium speed for 1 minute until combined. Add the cream cheese and maple syrup, beat for 2 minutes until combined and creamy. Add the vanilla extract and beat until smooth. Taste the frosting and add more maple syrup if desired. 7. Let brownies cool completely before frosting and cutting.